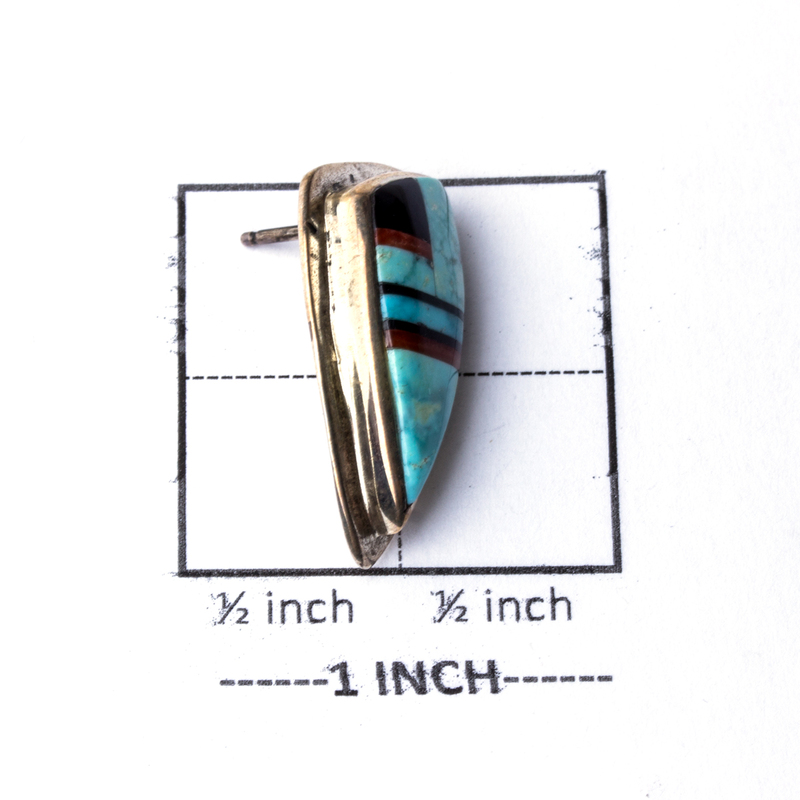 Bring the bright blue beauty of Turquoise, the warmth of red Coral, and darkness of Onyx to your Southwestern collection! 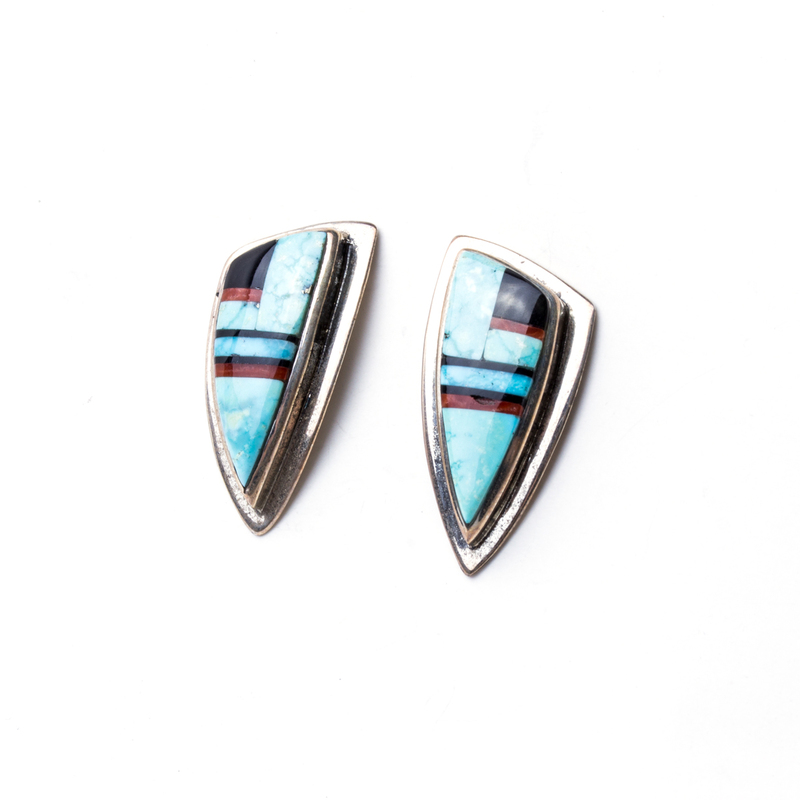 Fantastic earrings made by a talented Navajo artist and Silversmith. These earrings are hallmarked “AM” and “Sterling”. 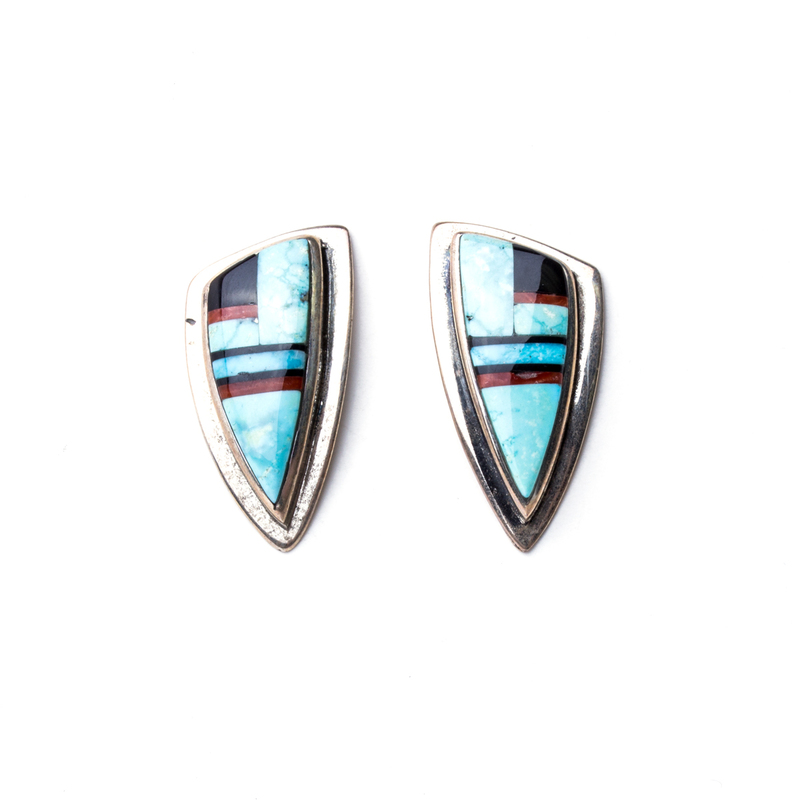 Navajo artist AM Turquoise Earrings features sparkling light blue Turquoise, deep red Coral, and deep black Onyx with shining Sterling Silver.